What is the Young Company? The Young Company is the Royal Exchange Theatre’s award-winning resident company for anyone aged 14 -25. Offering exclusive access to workshops, masterclasses, production opportunities and free tickets to all our main house shows. Between September 2018 and August 2019, we will work with 120 young people who want to train as Digital Content Creators, Directors, Facilitators, Performers, Producers, Technicians and Writers. We offer in-depth training and practical opportunities supporting company members to develop, create and grow at the heart of a producing theatre. You need to book onto one of the recruitment workshops for your group via the box office or website, and then complete the online application form before you attend your workshop. This will be emailed once you have booked your place. - We look at how you participate in the recruitment workshop alongside the information you put on your application form. - The focus of the work with the Young Company is on working as an ensemble, so we will be keen to see how you respond to this in your application and in the workshop. - Due to our funding requirements, we prioritise entry for young people from GMCA districts – Bolton, Bury, Manchester, Oldham, Rochdale, Salford, Stockport, Tameside, Trafford and Wigan. This means the majority of places are offered to people who live in these districts. - Manchester is a vibrant and diverse city and we proactively aim to ensure the Young Company reflects this makeup in our selections. - The Young Company is open to everyone; whether you’re new to theatre, already have lots of experience or you’re somewhere in between. We aim to make the groups as balanced as possible, working with young people with different levels of experience. Do you recruit at any other time during the year? Membership to the Young Company lasts from September - August and our main recruitment drive is from May - July each year. If further spaces become available across the year, we will contact those who have applied directly to notify you. Yes. We retain approx. 25% of membership from the previous year and 75% are new members. We do this to make sure there are fresh and new ideas within the company. What do Young Company members have access to? • Production opportunities including a studio show, a devised show and a show made in collaboration with our Elders’ Company – all involving every group of the Young Company in every aspect of producing the show. • Mentoring from theatre staff and exclusive backstage access. What are the age brackets for each group? You must be within the age range of your group on 1 September to be eligible to apply. When do the skills groups meet? All other opportunities take place around and alongside skills sessions across the year. We ask that everyone commits to attending their skills sessions, all other activity is optional. Membership to the Young Company costs £200 for the year. This can be paid in a one-off payment or in termly instalments. OurArts Pot scheme offers financial support for anyone who needs it, and can be used to help cover project and workshop fees, and the cost of travel to and from the Theatre. We fundraise for the Arts Pot every year and it is there for anyone who needs it! Asking for Arts Pot support will not affect your application. You can request the Arts Pot once we have offered you a place in the Young Company. What does each group do? A development opportunity for aspiring directors, facilitators and producers. You will receive training in creative leadership, work with staff from across the theatre and gain hands on experience on projects throughout the year. You will speciailise as either a director, facilitator or producer. Brand new for 2017, our Communicators are transforming into the Digital Content Creators! This group will share the work of the Young Company and the Royal Exchange through film-making, photography, social media, blogs and digital media.  You will promote productions made by the Young Company as well as gaining backstage access to capture the life of the Royal Exchange on the Main Stage, in the Studio and across the building. You will work alongside our in-house marketing team as well as training with professional film-makers. All sessions offer practical approaches to performing, introducing you to a variety of techniques and encouraging you to develop in the areas you are most interested in. The Young Company specialises in making theatre with ensembles and sessions will explore what it means to work in a large group on stage. Alongside professional directors, you will develop a foundation of performance skills including physicality, approaches to script, vocal technique, devising and improvisation as well as exploring specialist areas such as clowning and physical theatre. PERFORMERS 1 (previously the ASSOCIATES) is for anyone new to performing, new to activities in the Royal Exchange or if you’re just curious to find out more about theatre. If you want to find out more about working as an ensemble and exploring performance techniques, then this group is for you! We will only offer you a space in one of the Performers groups, which will be dependent on previous experience, age and the information you put in your application form. The ultimate backstage pass, allowing you to access all areas of our production departments who create, design and make all our shows at the Royal Exchange. You will have access to hands on training in sound, lighting, stage management, wardrobe, design and prop making. You will collaborate with theatre professionals on all Young Company productions – from rigging the lights to stage managing the show as it happens. You’ll also observe, shadow and be part of the technical aspects of our Main House shows. A practical course that encourages you to develop your own writing style whilst discovering some fundamental skills about writing plays. Working alongside award-winning professional writers, you will explore techniques in characterisation, writing dialogue and story structure as well as discussing work by a variety of playwrights. Over the course of the year, you will meet other professional writers, write a monologue that will be performed in The Great Hall at the Royal Exchange, receive feedback and support on your work and have the option to write a full-length play.